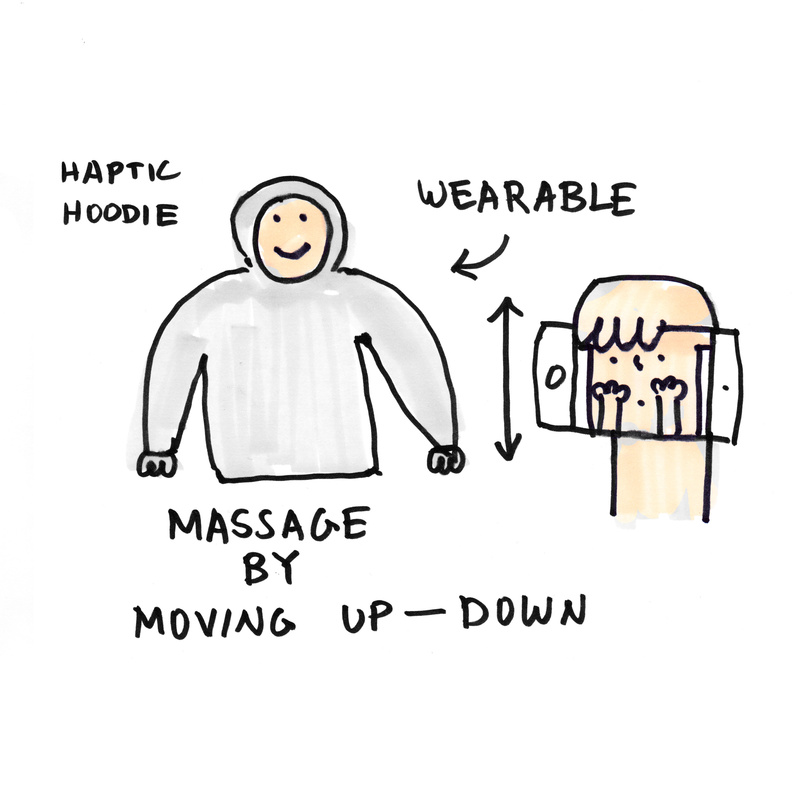 Haptic shirt that enables to massage your friend from the distance. It is very suitable tool for the lovers apart (e.g. studying or working abroad). It helps to maintain the connection. Haptic shirt that adds an new tangible layer to the messenger app. You can tickle your friend! Long distance drum machine. 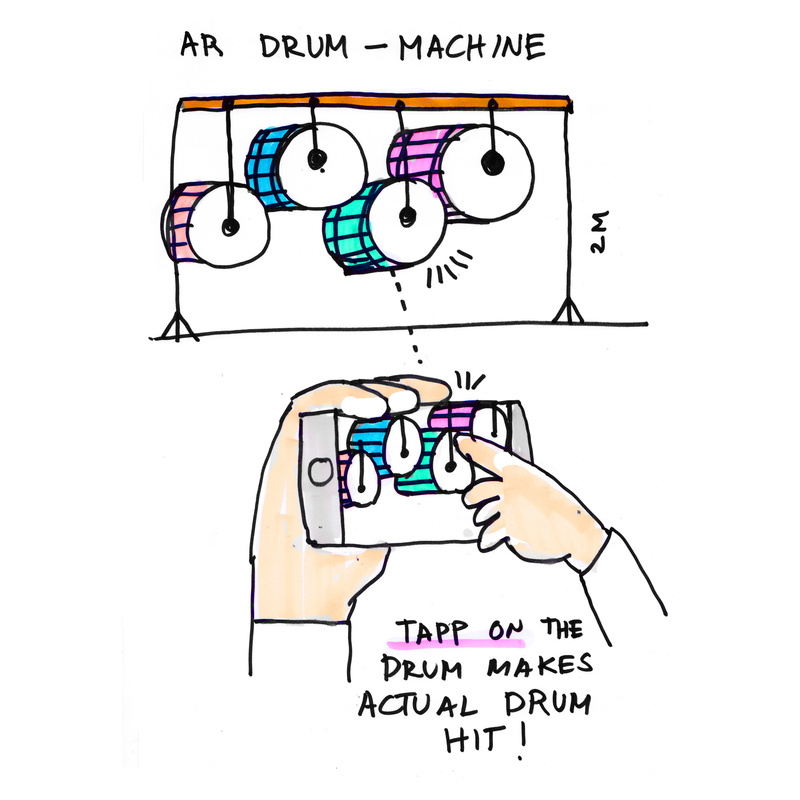 Tap on the drums on the screen and real drums will be hit accordingly. Botanic garden gadget. 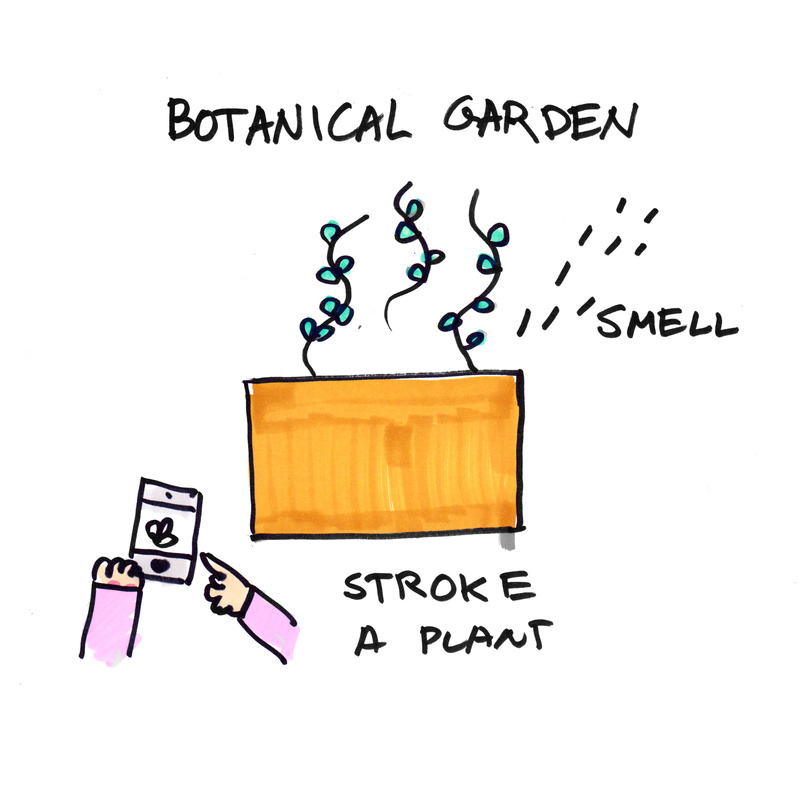 You can smell the flowers even when they are not blossoming. Tool for light technician. 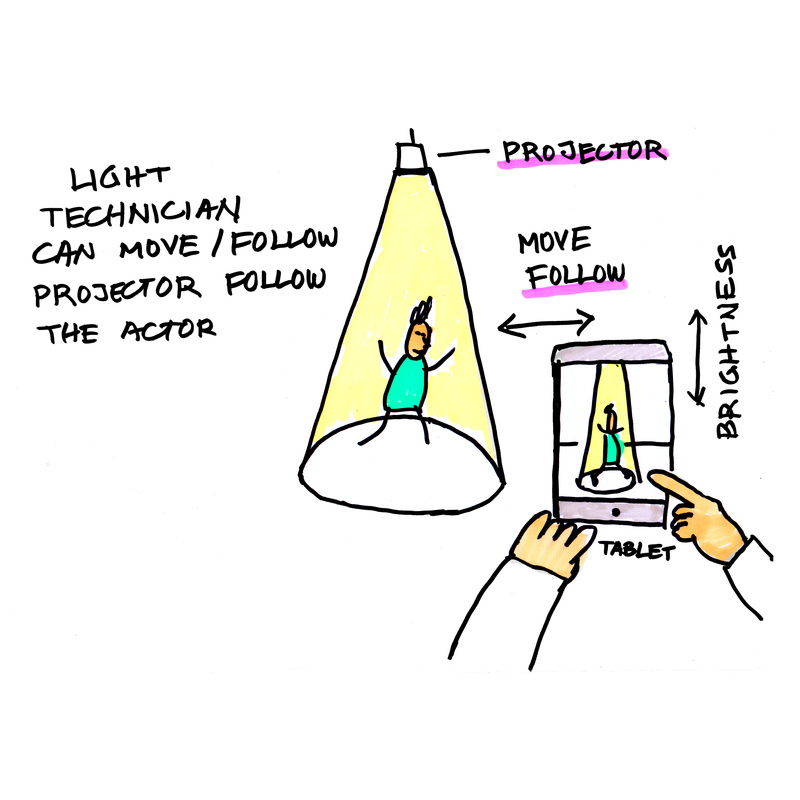 You can move the spotlight projector and follow the actor with convenient AR solution. Light installation for festivals. 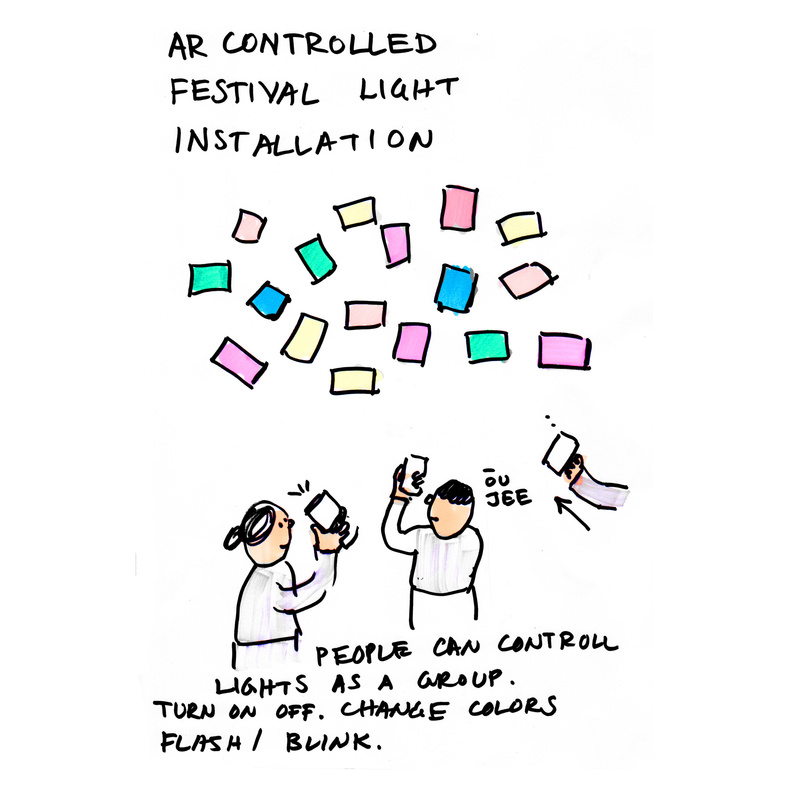 With AR app people can control and cooperate on creating the light vibe just right for the moment. Virtual graffiti board. People can cooperate and draw huge virtual drawings on the billboard. 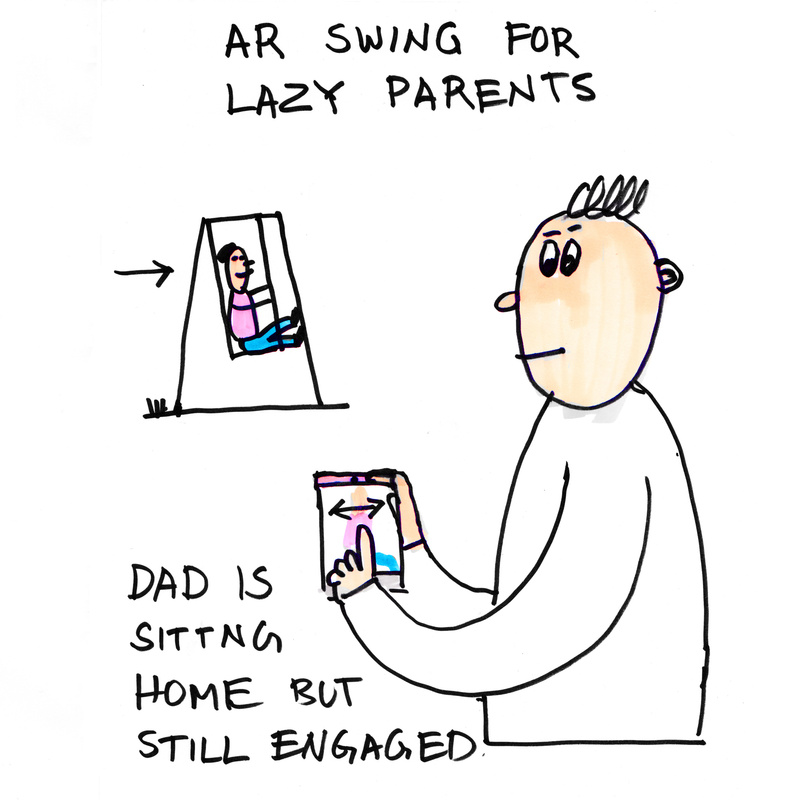 Swing for lazy dad. He can swing he’s kid from the couch in his home. Know your neighbor! 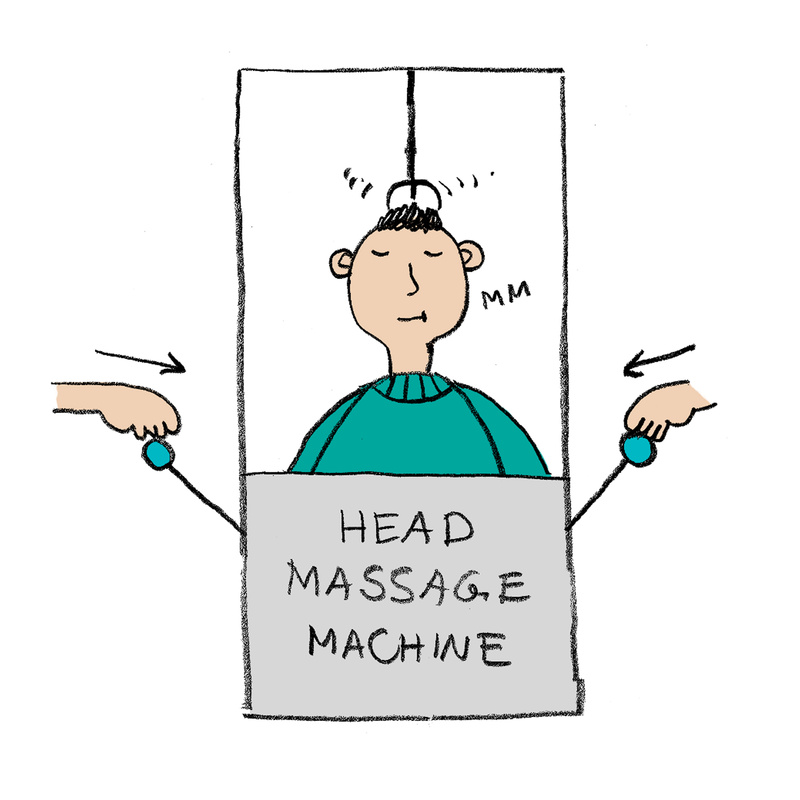 Public head massage box for the curious citizens. 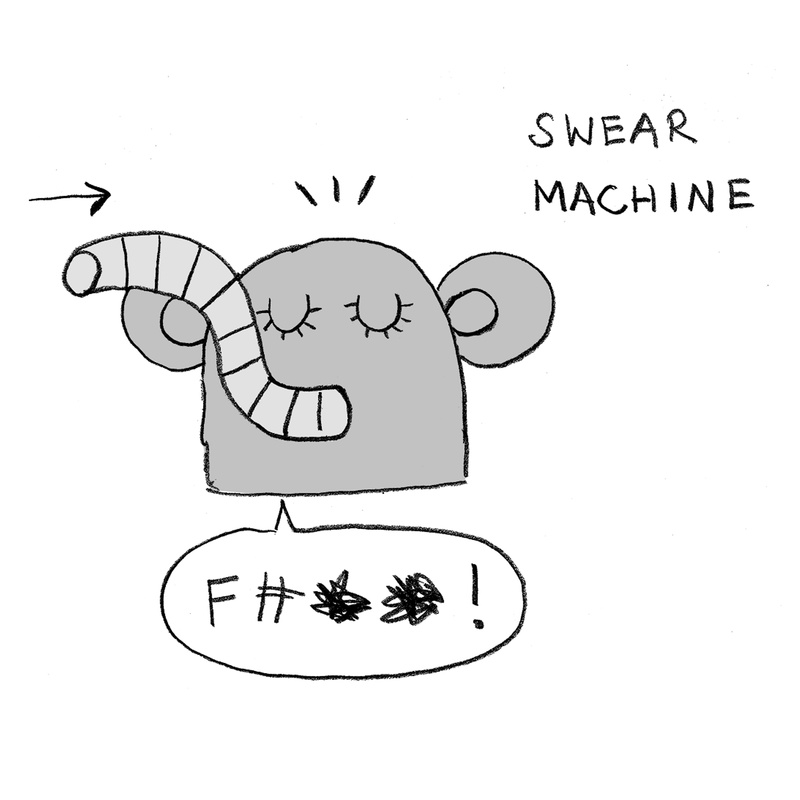 Machine that answers with swearing. You can ask anything! Sock it! Coughing based sewing machine. 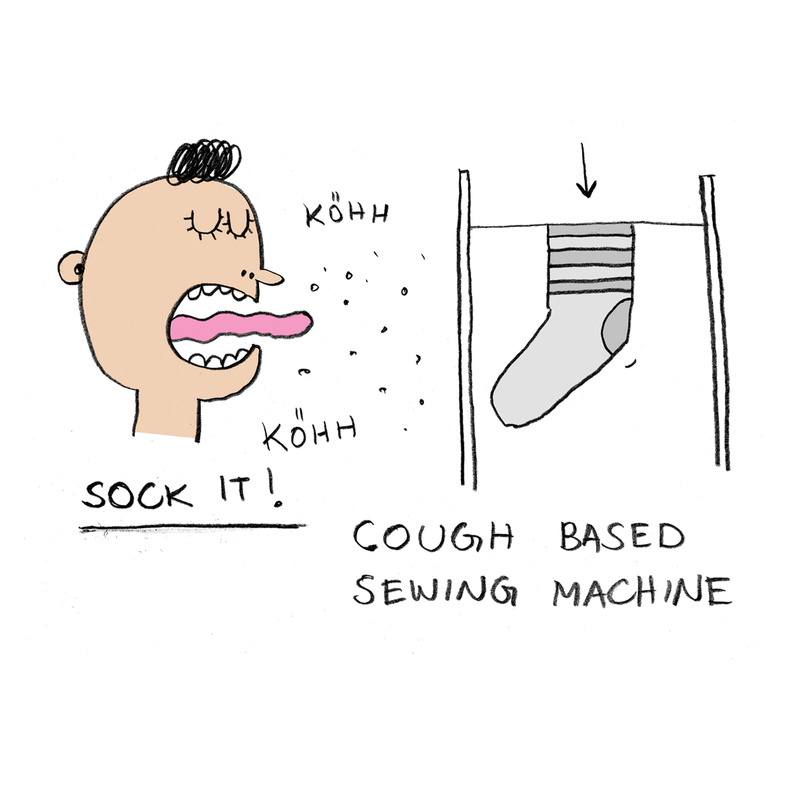 With every cough you make a new line of sock will be sewed. It will last till you get new pair of war socks! 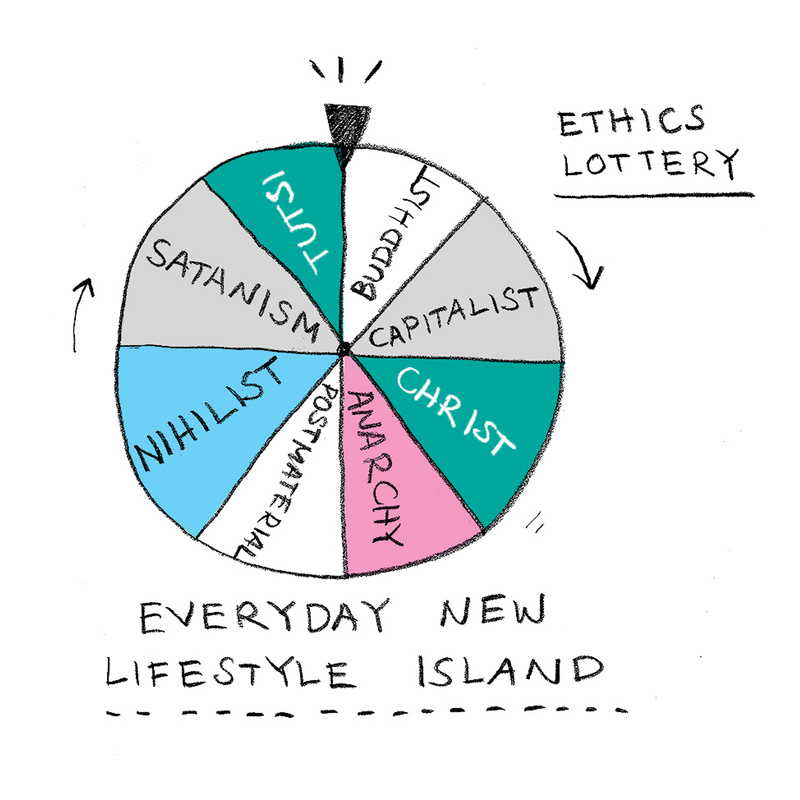 Lifestyle lottery! Every week a new lifestyle will be raffled. 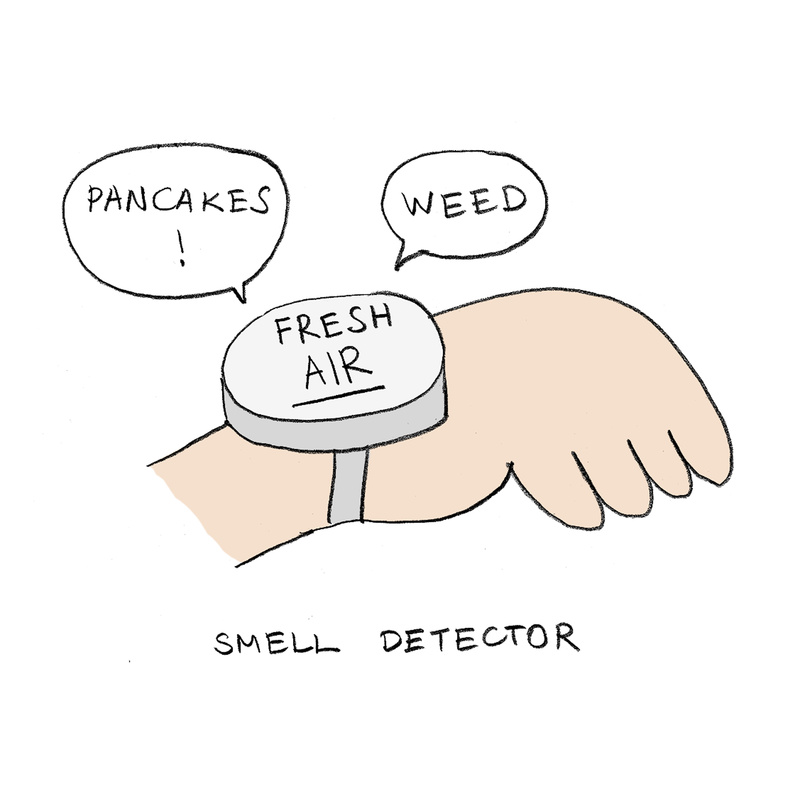 Smell detector for the people who have lost the sense of smell. 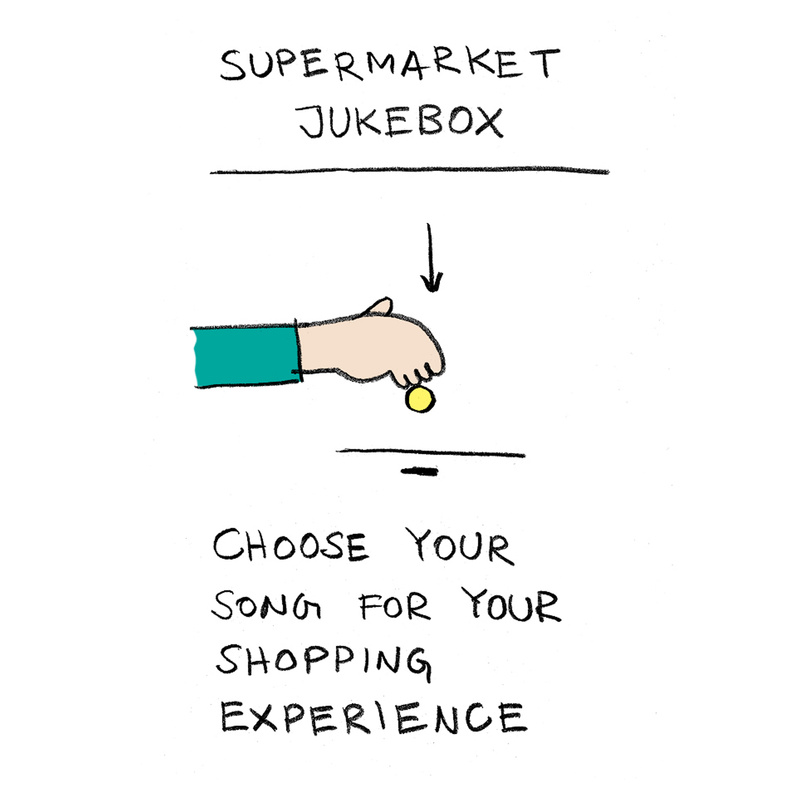 You can pick a song at mall to play while you are shopping.